The Finest Gaming Material This Side of..... Something or other. 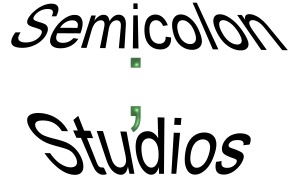 Welcome to the official webpage of Semicolon Studios. If you wish to place a link to us, our address is http://members.tripod.com/invasivesurgery/semicolon/ and you may use the following banner if you wish.